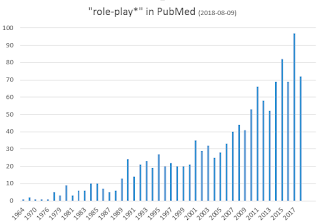 "Role Playing" term was created as a MESH (Medical Subject Headings, the National Library of Medicine's controlled vocabulary thesaurus) in 1991. Before the term redirected to "psychodrama" (from 1975 to 1990). Bowman, Sarah Lynne, & Andreas Lieberoth. 2018. 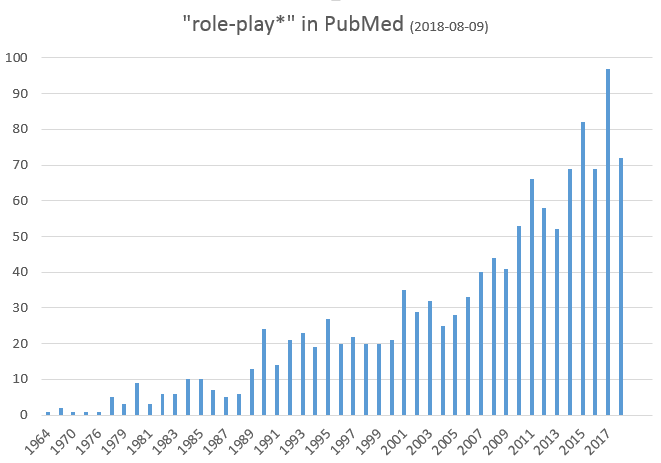 « Psychology and Role-Playing Games ». In Role-Playing Game Studies: Transmedia Foundations, edited by Sebastian Deterding & José P. Zagal, 245‑64. London: Routledge.